I Alone – A funky new piece where colors abound. 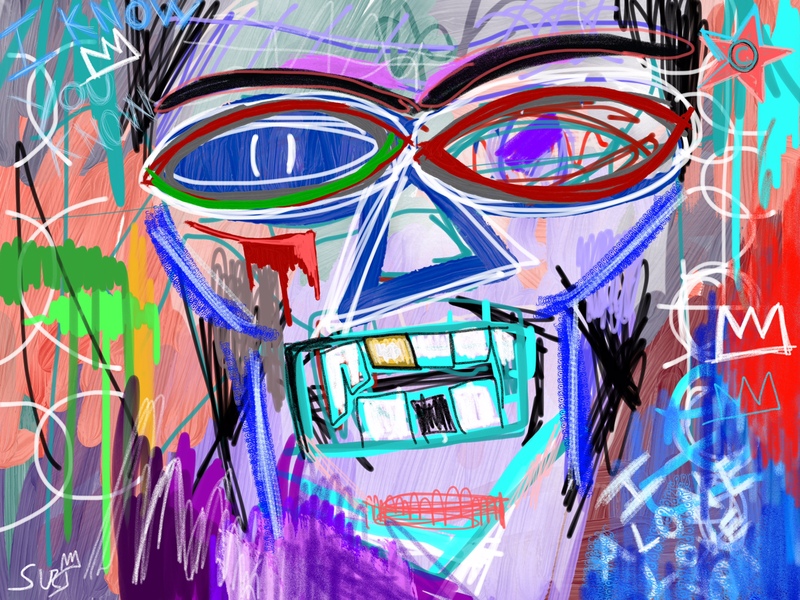 Has a nice homage feel of Jean-Mich basquiat while bringing a fresh punchy voice. The piece has an abstract, urban feel, while having complex layers upon layers. Nice to the naked eye upon first glance, and even better upon further inspection. Copyright © 2019 Surj. All rights reserved.